At the beginning of the year (2018) I move my blog to a new site and for the last note I created a small figure and posted a photo telling everyone of the change of the blog address. I have also been using this figure as a MiniWorld mascot for the instruction pages for the paper models. You can also download this simple paper model as a sample to try out if you are new to paper models. 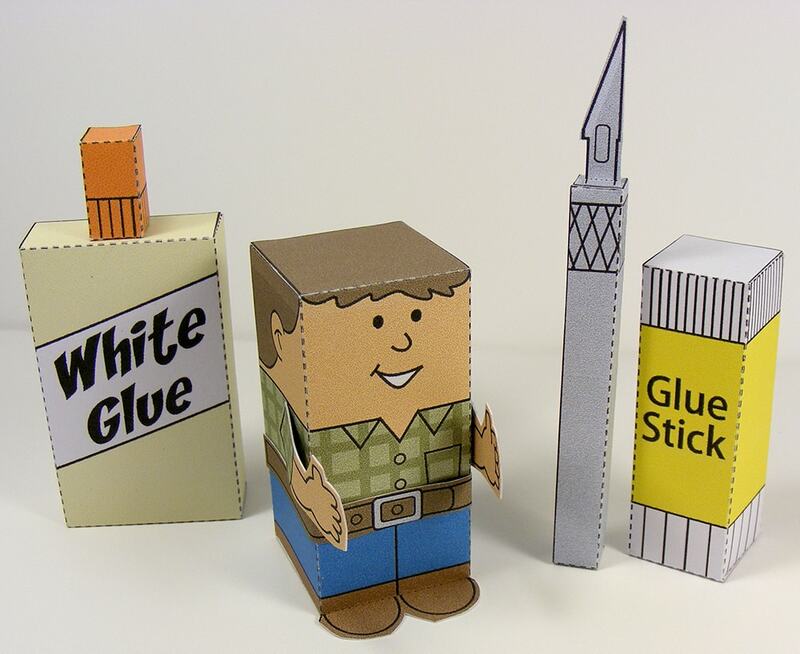 It is very simple to assemble; all you need is cardstock to print the model pages on, sharp scissors or a paper cutting knife, a ruler, and simple white glue to assemble the model. And next you will be ready to download other models listed on my web site. So download it today for free and don’t hesitate to write me if you have questions.